The OneSwitch Library hosts a range of free downloads, articles and instructions. You will find over one hundred one switch games, William Pilgrim's 4Noah Laboratory, articles on using switches and more. Please feel free to browse at your leisure. For people wishing to borrow switch accessible leisure and gaming equipment in the UK, I highly recommend contacting the charity SpecialEffect. 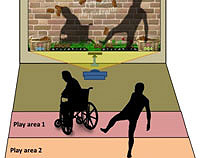 Do It Yourself Guides, Help and Adaptation Service. 100+ single switch PC games with links to more. 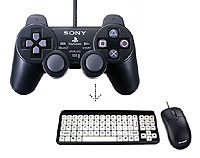 Joystick to Mouse and Keyboard utility. XAC and Game Control Mixer compatible. 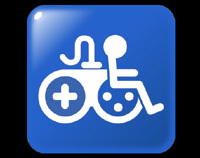 Free to use Game Accessibility Information symbol. Use to bring attention to access features in any game product. 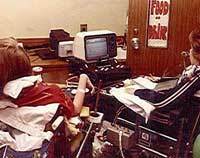 The ATE (Accessible Through Emulation) Arcade. 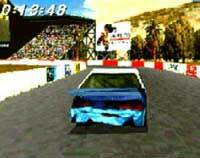 Making previously inaccessible console, coin-op and computer games playable. 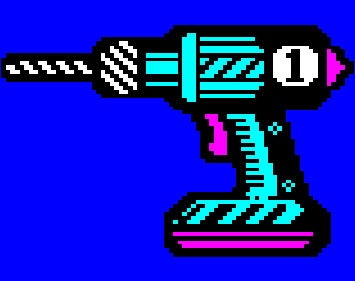 Empowering switch utilities for PC by William Pilgrim. 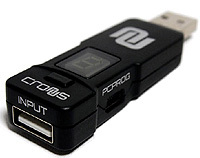 Help and downloads supporting this powerful Playstation 3, PS4, Xbox 360 and Xbox One adapter. See also the newer Titan One device. 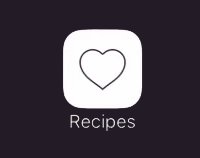 Switch Recipes and Guided Access help for iPad and iPhone users.. Practice one-switch scanning and selecting with this free PC or Mac utility. Requires Flash. A transcription of the 1996 ROMPA book by Chris Addis. Game Access history exhibit. 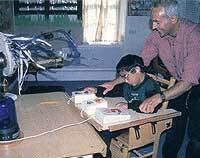 Part of the SpecialEffect 10th Anniversary celebrations. Can full-body games become more accessible? 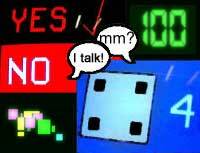 An accessible gaming article aimed at Game Developers. Photos of One Switch exhibiting Accessible Games at the UK Classic Gaming Expo in 2005. A brief history of game accessibility from the 1960's to the modern age. 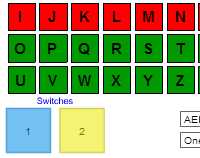 Instructions and ideas for the 2001 adapted Namco Arcade Stick Playstation/PC switch interface. 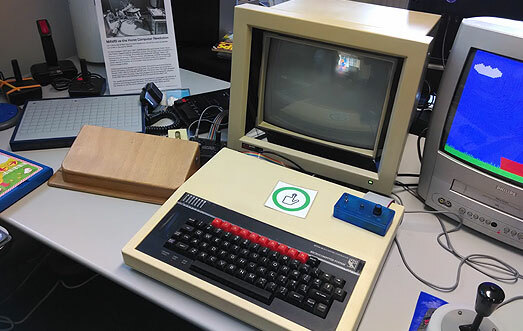 Instructions for the BBC Micro "Thurrock Care Switch Programmes" set-up. 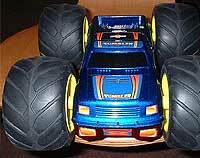 Instructions for Hitari Tumbler radio controlled car, adapted for switch use. Use with on-line virtual Greyhound Racing, or adapt your own for other fun bets such as Virtual Duck Races! Art and Music Gallery: Artists and Musicians. Ideas: Things to try, places to go and technical Do It Yourself pages. 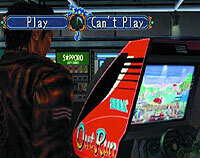 Top image of Christopher Myers playing a Shenmue mini-game of Darts on the Sega Dreamcast, using two head switches.